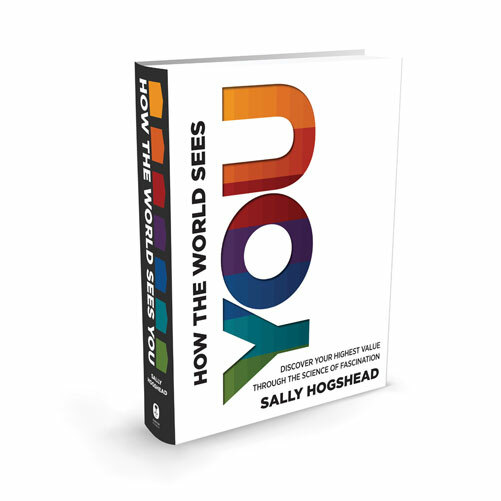 This is a question that Sally Hogshead (branding expert and leading authority in the science of fascination) asks in her new best selling book How the World Sees You: Discover Your Highest Value Through the Science of Fascination. I am currently going through it and it correlates with how I want Third Culture Kids and Global Nomads to embrace their global identity and use it to their advantage. In my quest to build the next set of global leaders, I have noticed something. It sounds so simple but rarely is this ever implemented and it is because people don’t know what their value is or what they can offer to the world. That’s why Sally’s Team Fascinate project is so great. Her team has come up with a great assessment that takes into account your personality and gives you an archetype based on your answers. I took it and i’ll share my assessment results in a bit but before I do that i’d like to share some of the key takeaways I have gotten so far. There are three things that prevent you from being the YOU that you are meant to be. The YOU that can provide value and ultimately become the best leader/entrepreneur/marketer/artist that YOU can be. Now back to that assessment result I discussed. My archetype is the 'change agent' and I speak the language of confidence. My two advantages are power and innovation. With Sally's help, I was able to create an anthem for myself and it is the "untraditional visionary". Find out exactly what your archetype is and how you can add value by taking your fascination advantage assessment here and buying the book. Take the assessment and share it with your friends. Sally's goal is to show 100,000 people the very best of themselves. My goal is teach people how to embrace their global identity and use it to their advantage so hurry and use this code BL-tayorockson on www.HowTheWorldSeesYou.com/you to take a free assessment because this offer will cease to be free after tomorrow. "The greatest way to empower someone is to show them their own highest value." PS If you want your own code that you can share with your friends, blog readers, and social media followers? Join Project Fascination here. Sally Hogshead rose to the top of the advertising profession in her early twenties, writing ads that fascinated millions of consumers. Her internationally acclaimed book Fascinate: Your 7 Triggers to Persuasion and Captivation has been translated into over a dozen languages and her new book How the World Sees You: Discover Your Highest Value Through the Science of Fascination is currently on the bestseller list. The science of fascination is based on Hogshead’s decade of research with 250,000 initial participants, including dozens of Fortune 500 teams, hundreds of small businesses, and over a thousand C-level executives. She frequently appears in national media, including NBC’s Today show and the New York Times. Hogshead was recently inducted into the Speaker Hall of Fame, the industry’s highest award for professional excellence.